Retro-arcade gaming is more than recreating the sound and graphics of bygone video games. To anyone who spent endless hours of their childhood feeding quarters into rows of pulsing, blaring machines, the feel of the industrial-grade joysticks and buttons is an essential part of the experience. Thankfully, Raspberry Pi can help recreate the feel of those games. 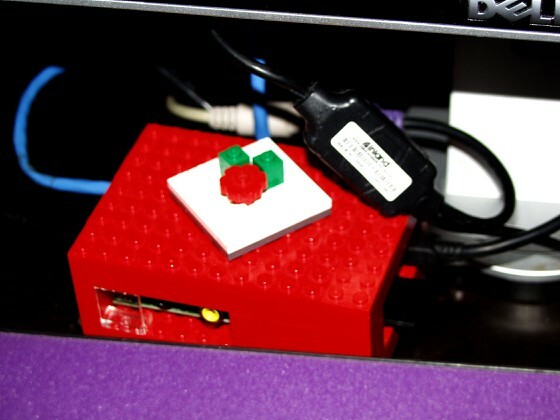 There are a number of ways to attach Happ joysticks and microswitch buttons to a Raspberry Pi, starting with directly connecting switches to GPIO pins, but because arcade emulation programs like MAME look for keyboard events, the simplest way to integrate industrial controls is with a keyboard encoder. These keyboard encoders connect in place of (or in front of) a standard keyboard and provide enough switch inputs for one or two joysticks and a number of input buttons. All recently made keyboard encoders will work with late-model computers (including the Raspberry Pi). The first generation of these encoders came out before there were USB keyboards, so they only emulate IBM PS/2 keyboards (which date back over 25 years). 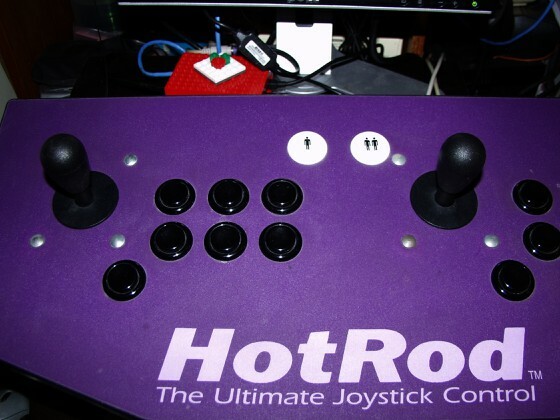 A local friend of mine, who is also into retro-gaming, recently upgraded his 1999 HanaHo HotRod arcade joystick platform to a newer USB-compatible platform and sold the old HotRod to me. The full details of getting the HotRod to work with Raspberry Pi are on my makerblog.